We are proud to introduce the LIFT EU, a reflex wing specifically designed for tandem trikes! It has been a few years since we launched the Play 42 UL - our most successful wing for tandem trikes. Play 42 UL is a classic-profile based wing that keeps enjoying great success to this day. The LIFT EU offers an additional option for tandem trike pilots who prefer a reflex-profile wing, with higher top speed and greater resistance to deflation. 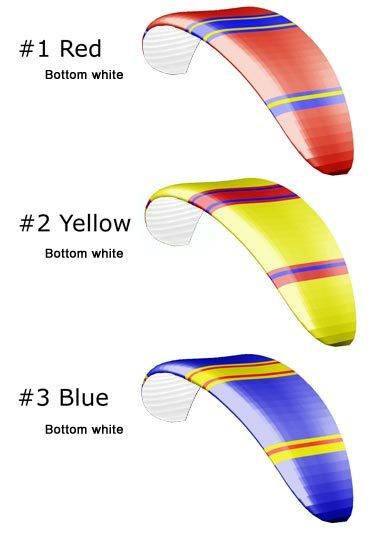 The LIFT EU is based on the LIFT paramotor wing - our best-selling wing, and shares many similarities with it. LIFT EU 400 for European light to medium trikes (with narrow hook-in points). LIFT EU 450 for European medium to heavy trikes (with narrow hook-in points). 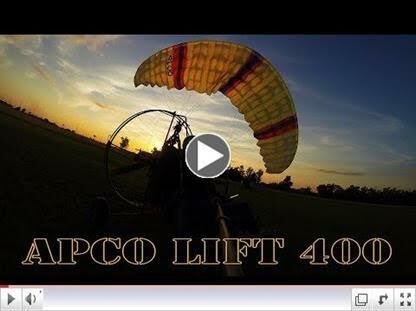 LIFT 400 for American PPC (Powered parachute) light to medium frame (wide hook in points). LIFT 450 for American PPC medium to heavy trikes (wide hook-in points). The American version of this wing specially designed for PPC machines was launched some time ago and is compatible with trikes based on wide spread between the hook-in points. For more information on LIFT 400/450 PPC, click here. Front trimmers - has the same functionality as speed-bar, adapted to tandem trike flying. Rear trimmers for good speed range. Built-in A-assist connection for easier inflation. Reinforced, heavy duty built, for extended life span of wing. All metal parts Stainless Steel or Aluminium. Split A risers for safe and wide speed range. APCO legendary double coated siliconised cloth - built to last. Integral, built-in, Neodymium brake magnets. 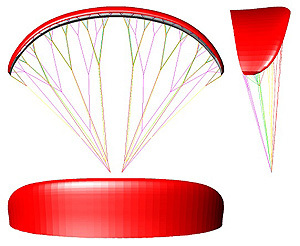 Auto-stable reflex profile for unshakable stability. Extremely easy inflation, launch and landing. with narrow spread hook in points 50-65 cm. And hand held brakes. Customise your glider by adding a personal or company logo. Would you like to personalize the look of your paraglider? All APCO gliders can be tailored to meet your color needs. 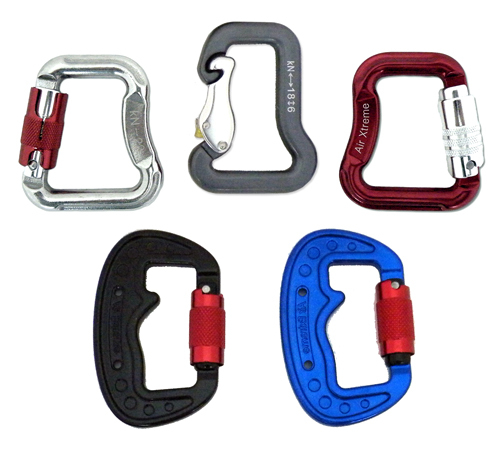 The wing is supplied in Paragliding bag as standard. 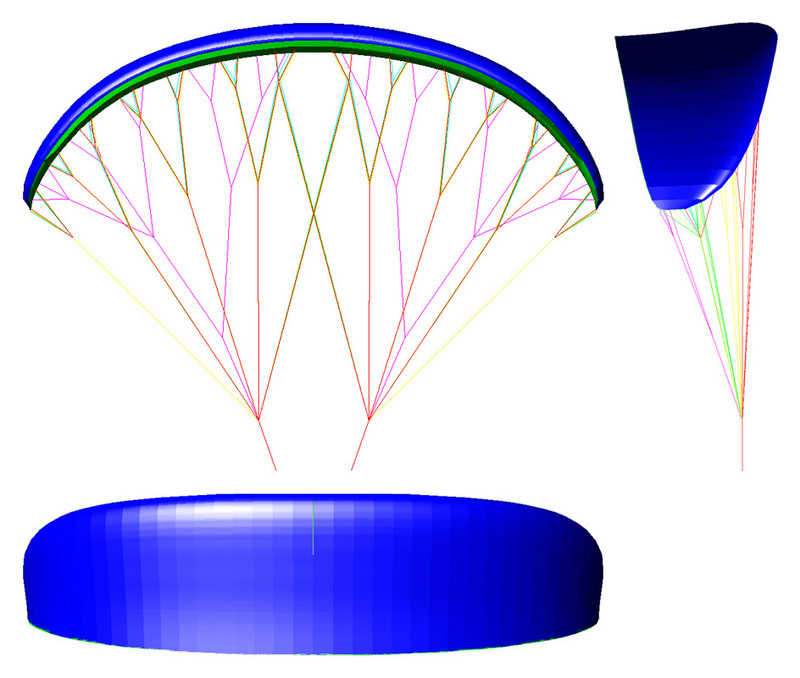 The Paragliding Bag can be replaced with Light Clinch bag for all wings on demand. Riser sock supplied as standard with each wing. The Lift EU comes in an ergonomic rucksack incl. an inner stuff bag, compression strap, riser sock, spares kit, owner's manual and an industry first 3 yr/250 hr warranty - all as standard.